Three mothers with so much in common, we could form a club. Each raised one son and one daughter, through adolescence into young adulthood. Each loves her children with all her heart. And, sadly, each of our brilliant, happy, sweet sons began to change in their mid-teens, and were eventually diagnosed with schizophrenia. We have each written about our experiences, shared our stories so they might help others. But our stories have taken three very different turns. Today, one of these mothers mourns the death of her son, who passed away in “individual housing” earlier this year. 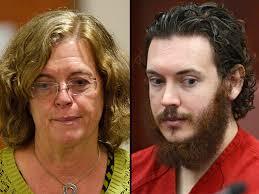 Another of us sits stoically in a courtroom as her son is being tried for shooting moviegoers in Aurora, Colorado. And I, the lucky one, get to hug my son as he heads off to work, in his car, filled with gas that he paid for himself. For today, yes, I am the lucky one. My heart goes out to the other mothers, even though I have never met them. I only know them through their writings, but I feel their struggles, their pain, their guilt, their love. Anyone who lives with mental illness in their family knows that we live life with crossed fingers, and we fight with all our might to make the right decisions. And it is far from easy. Who hasn’t been there? I know I have. That balance between letting go and stepping in is a staple of parenting. In Laura’s case, the results were tragic: Zac was found dead in his apartment in January 2015. Her “luck” had run out…but the lack of respect and services for her family situation is certainly more to blame than luck. 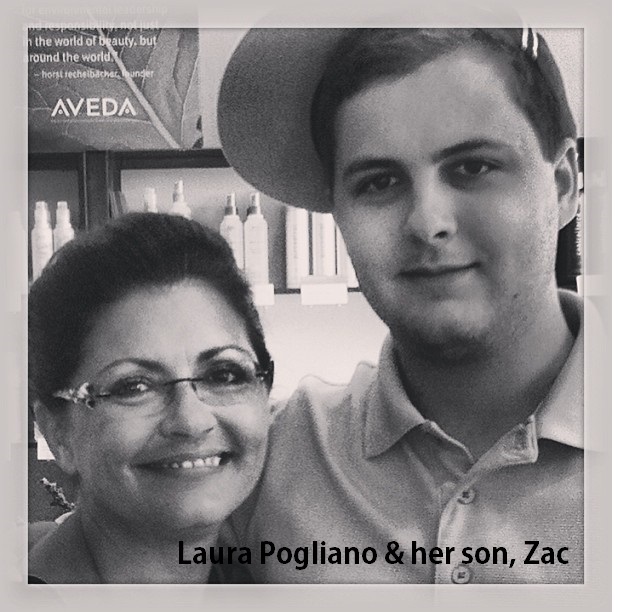 Laura is devoting much of her time now to honoring Zac’s life with her advocacy. This did not have to happen. See her powerful piece called My Mentally Ill Son versus Your Son With Another Type of Illness. for only one thing : the day he opened fire in a crowded movie theater in Aurora, Colorado, killing 12 and wounding 70. James Eagan Holmes, before that day, was a neuroscience student, a camp counselor, a church goer, a class leader, a big brother. He was – and is – somebody’s son. And he had needed help for a long time. 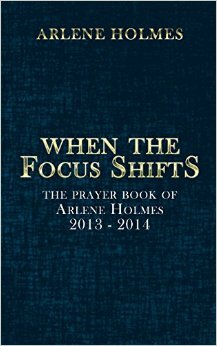 I don’t profess to understand how Arlene Holmes feels. I can only imagine the guilt, regret, isolation and grief – and surmise that these feelings began long before the “Batman incident”, when her son first began to show early behavior changes (including a suicide attempt at age 11). 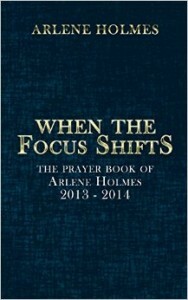 What I imagine to be the feelings behind the stoic expression of Arlene and her husband as they sit near their son during his trial comes from her self-published book of poetry When the Focus Shifts, her reaction to the shootings, and the arrest and trial of her son. She states that the proceeds are to be donated to medical and mental health services. Is she a “monster”, who “raised a monster”? I doubt it. 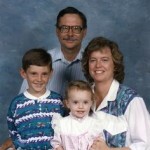 I suspect that she, like me and Laura, was just a woefully underprepared and unsupported parent. (01-08-2013) I can never forgive myself for not knowing that this would happen. Forgive yourself…And then forgive the people who hate your guts and want you dead. (02-01-2013) I had a good kid who never harmed anyone. That changed; his brain changed. Jim stays behind to make sure I am okay. Arlene writes about sitting in Jim’s untouched childhood room, “because I need the memories and tangible evidence that he was a good person.” Could this have been me? Could it have been Laura? Three mothers – three sons with schizophrenia. Is it love? I highly doubt it. These boys were all loved. Is it the lack of family education and support? Shortage of attention paid to early diagnosis and treatment? Is it the fear of diagnosis, fed by stigma, fear, and paucity of realistic access to treatment that must be consistent to be effective? Answer: sadly, all of the above. Or is it also just the randomness of things, the moments we missed when we look back and say, “I wish I had known?” To this I say: you can never know. You can guess. You can educate yourself. You can take whatever actions seem right, do what the mental health system “allows” you to do. But nothing is ever that clear where mental illness is concerned. Is it fortune? Really? According to a 2006 study, “An estimated 56 percent of state prisoners, 45 percent of federal prisoners, and 64 percent of jail inmates have a mental health problem.” So can we also blame a mental health system that is underfunded, shortsighted, and mired in legalities that prevent people with mental illness – and their concerned families – from getting the help they need? Of course, the majority of my guys are imprisoned for killing their parents. This stops me in my tracks, knocks me right off my soapbox. There but for fortune…? I have often imagined how hard it would be if Ben were incarcerated (which almost happened), institutionalized (which also almost happened), or homeless (which did happen, in the past) – but the thought that he could kill us, or anyone, in the midst of psychosis has never crossed my mind. Ben is a gentle and sweet soul – has been since birth – and I’ve always felt that this has been our saving grace. But did Arlene Holmes think her son incapable of violence? Did Laura Pogliano think she was through the worst of it when Zac admitted he had schizophrenia and agreed to be interviewed by USA Today? The truth is, I have no idea what Ben’s voices tell him when he is untreated . He has never admitted to even hearing voices, much less the words he hears, but if he stops taking medication the fact that he responds to this internal world is undeniably clear. We only hear and see Ben’s side of the “conversation” – he gestures, grimaces, talks – but what do the voices say to him? I hope we never know, We’ve made it our job to make sure he stays in treatment, keeping that internal world quiet enough so Ben can work, live and love in the external world. We have no “legal” right to do this, of course; it’s simply a house rule, and Ben follows it. We have set limits in our home and we enforce them. So far, so good. These days, Ben has a job he excels at, a social life with friends and family, and interests like hiking, bowling, and college classes. He takes his medication twice daily, which we supervise. Not my favorite moments in the day, but worth it. Every day he asks for a “Mom hug”, and tells me he loves me. 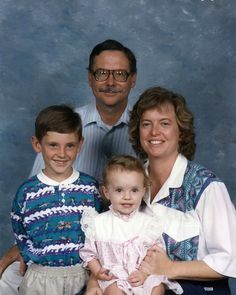 Lucky family. We know it. But we live life with crossed fingers. All we can do is our best to make sure we respect his illness enough to keep it managed. And the rest…is out of our hands. There but for fortune….and one hell of a continuous fight. For treatment, for research, for respect for the needs of those with mental illness, the right to have treatment and the right to a future. Countless other families that could have been saved – including those of who have lost loved ones – with early diagnosis, stigma-free treatment, understanding, better research, mental health support services. Oftentimes when our children mess up we blame ourselves. I think it’s because we remember them as children always, even when they are grown adults acting of their own agency. There is a fine line between enabling bad behavior versus supporting them in their battle.